Abstract Moving & Delivery is available in and around Saskatoon for complete residential moving services. Whether you require assistance with loading, unloading, or anything in between, our team is dedicated to alleviating some of the stress that often comes with moving into a new home. Read through our services below; then, give us a call today to schedule your appointment. 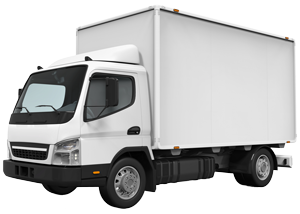 In addition to our standard household moving services, we also assist with both mobile and small building moves. With Abstract Moving & Delivery, you can rest assured that your belongings will be transported in a safe and efficient manner every time. Our movers are available to help you load and unload your items wherever you need us. We can help with boxes, furniture, and other containers that can slow down the moving process. Instead, leave that heavy lifting up to us. For courier services you can depend on, get in touch with us at Abstract Moving & Delivery. You can trust our courier team to deliver your boxes, packages, mail, and similar items on time. Save more time with reliable courier services throughout Saskatoon and surrounding cities!